In true snoop fashion, I decide to see if this international conglomerate has anything on offer in my region. All the work is done on this 43.41 ha. fish / marron farm. An immaculate home with granny flat and a freestanding restaurant / functions centre. according to the genuine agent. Can we say "Property Wikia" and its' "associates" are as dumb as a sack full of hammers and can't even steal other peoples' listings accurately ?? Goodness gracious, all we need is for the Property Wikia people to tell prospective buyers they stand to inherit a squillion bucks from a long lost relative who died in a plane crash in Nigeria leaving his fortune to a complete stranger and this would take the cake as most amateur scam of 2011. Geez, Property Wikia, lift your game. You're a disgrace to your chosen profession. Yeah...they're really screwed up. I found one in NJ that they're hijacking and they reversed the square footage of the house and property. The house wouldn't fit on the property be their figures. lol. They only boosted the price $20,000 USD. I arrived home much too late to go down to the "RightMove" offices in my local HighStreet and ask more about this but I will do this if it is not raining "cats and dogs" tomorrow. It is obviously nothing to do with the countrywide RightMove chain of estate agents who do sell online. EAT SPECIAL REPORT: Propertywikia website and the mystery of its rich rewards - Estate Agent Today. Here is an extract from EAT special report. A property website is making an extraordinary series of ‘get rich quick’ offers, and has ambitions to take over the property listing world. The offers include £100 a week 'compensation' if the property does not sell. If it decides to challenge Rightmove, Propertywikia already has curious – and no doubt coincidental – links. For example, when EAT asked about Propertywikia’s ownership, we were told it was owned by the RMV Group. EAT has not been able to trace a company called RMV Group, but a Google search for ‘RMV Group’ comes up with Rightmove Group in top place. RMV is the ‘ticker’ symbol for Rightmove shares. There is absolutely no suggestion whatever that Rightmove is in any way connected with Propertywikia. "PropertyWikia (part of the RMV Group)\r\nLevel 33, 25 Canada Square,\r\nCanary Wharf,"
One might rightly question whether young Mr "Terry Cuthbert" is not only NOT in New Zealand, but is not even "Terry Cuthbert"
This reminds me of another property scam which claimed to be trading from London W1. Offces in that area and Canary Wharf are so expensive that no startup businesses which needed affiliates could even afford space for a plastic coffee cup so they would not have enough space to publish essential information such as registered company number or VAT registration number. Last edited by path2prosperity; 10-04-2011 at 12:36 PM. A Court order was served on Scam.com to remove all the posts, as they were false and misleading accussations against PropertyWikia. We did warned the people that made these false posts it would happen and it is great it is all at an end. PropertyWikia is a Global program that is the biggest program to ever hit the internet. Helps backup Soapboxmom's statements of fact. lol. So the benefits for Vendor/Sellers with PropertyWikia is they save $1000's in unnecessary commissions. How can that be when the commissions are part of the price and the prices on their hijacked listings is boosted even more? Seems this would be a conflict of interest to the opposing downlines. I am going to report this phoney name and address for PropertyWikia which they claim is part of the ( nonexistent?) RMV Group with an address at Level 33, 25 Canada Square,Canary Wharf, E14 5LB, London United Kingdom) and the fact that they have used the Right Move stock exchange ticker symbol to suggest they are part of that organisation, to Crime Stoppers UK, when I have made dinner. I am not sure if people outside UK can report crimes but here is their web site. I love scammer boy Cuthbert bragging on Scam. If I can post court documents why is that lunkhead not posting the alleged court order? Scam owner George Dranichak often doesn't come on the site for weeks on end. George probably removed the original thread after receiving a threat from a fake lawyer or some incentive. George tried to bribe me to get the threads about him posted here removed, so I think it is very likely he will remove things from Scam with the right incentive. I take it as you found the new thread, that there never was any court order. One has to file and get an injunction and then attend formal hearing for a final injunction. George is in Canada and the hosting provider is in NJ. I suspect scammer boy like everyone else including sojustask is having a hard time getting any response from George. And, Georgie hasn't even ***** the company's and scammer's names yet. Scammer boy better sweeten the deal quick if he wants George to get off his duff and do something. He looks pretty silly bragging about his court order when that new thread is still there untouched. I am looking forward to hearing from that clown about this thread. I don't cater to scammers! This one's an excellent example of how unwary buyers get caught by fraudsters. for sale @ AUD $475,000 with no "right click" allowed on the picture. NOTE: the palm trees on the left and the "homesonsale" logo in the bottom right of the pic. 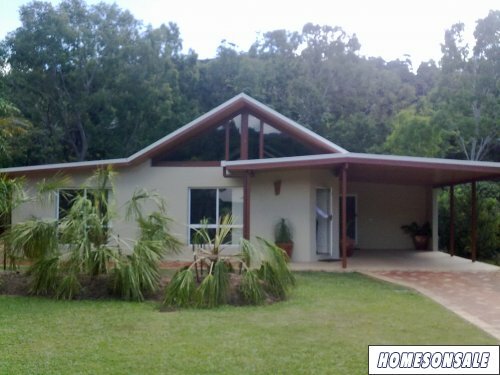 we check on the "HomesOnSale" website: Homes On Sale - 3 Detached, Jubilee Pocket, Airlie Beach, Whitsunday Islands DreamHome - reduced!! buy and sell property online and what do we find ?? BTW, http://WWW.HOMESONSALE.UK is interesting in itself. Would YOU send money an to purchase overseas property listed by a Gibraltar based company ???? A British company has to list its 1) company registration number. 2) Its VAT registration number. If annual turnover is above 73,000 GBP it must have a VAT number. 3) A registered company office where any member of the public can look at names/addresses of directors and audited accounts. PropertyWikia is the public trading arm of the RMV Group which is a private investment platform and both are 'trading names' of and fully owned by 3iCatalyst.com who are based in London. 3iCatalyst is a partnership and PropertyWikia is a trading name/brand name. RMV Group is a group of over five thousand strong investors that provide PropertyWikia with its unlimited investor buying power. 3iCatalyst.com is a NO VC (No Venture Capital) incubator that funds, launches and helps run successful companies worldwide. The business handles investments of over £12.5 Billion. Founded by some of the best business minds in today’s business world, 3iCatalyst strives to develop businesses that have significant potential for high growth and rapid return for investors. PropertyWikia is one such business. Some of the clients 3iCatalyst participate with, fund or advise include Play.com, BlackBerry, Virgin, flickr, Yahoo, Rio Tinto, easyJet and BP - to name but a few. Both PropertyWikia and the RMV Group are office based at Canary Wharf in London's Docklands. and who owns the "CashWikia" website ?? Still, the find doesn't make the "RMV Group" or "PropertyWikia" or "3icatalyst" any more legal or legitimate. A search of COMPANIES HOUSE WEBCHECK reveals NO listing for "3icatalyst" and NO listing for "PropertWikia" and NO listing for "RMV group"
C'mon, Mr Brian Thomas, just where are the "RMV Group" or "PropertyWikia" or "3icatalyst" registered ?? Have any of them registered for VAT in the UK ?? 3i Group plc (LSE: III) is a multinational private equity and venture capital company headquartered in London, United Kingdom. It has offices in 13 countries across Asia, Europe and the Americas and had total assets under management of £12.7 billion as at 31 March 2011. It is organised into three investment divisions: Private Equity, Infrastructure and Debt Management. Now we may be getting somewhere. Is this the same "3i group plc"
or has "Mr Thomas" just borrowed a name just like Propert Wikia "borrows" listings. [/B]or has "Mr Thomas" just borrowed a name just like Propert Wikia "borrows" listings. Would you like me to go up to Companies House and get the names addresses of the directors and the last set of audited accounts for you LRM? I have not checked to see whether you can get an electronic copy but I can certainly get them by paying them a visit? I could send them to SBM by snail mail. c) Instead of the property being as claimed by Property Wikia, it has now become: according to the genuine agent. This is down to poor agents/affiliates lisiting poorly, as far as i can see. so the company is balh balh blah blah who cares, IF!! its not legit, it will be found out and shut down by end of next tax year 2012. In the mean time all press is advertising whether good or bad so while you dis the company it makes more money from the hits at its site and the intrigue it causes. remember facebook and google and ebay being judged a joke, ebid....... i could go on. If someone said in 1980 that people would run businesses on the net we would be laughed out of town, well steve Jobs RIP and Bill gates knew otherwise legends!!. now THAT'S a lesson in spin doctoring, if I ever saw one. Someone thought Facebook and Google "were a joke" and that makes it somehow OK for Property Wikia to steal money from people. A company allows its' own website to display inaccurate and misleading real estate listings, and it's down to "poor agents and affiliates"
We shouldn't worry because "if PropertyWikia" is a fraud, it will be "found out and shut down by end of next tax year 2012"
The "end of the next tax year" by my reckoning, would be June 30, 2012. Oh, that's all right then, only 8 months, how much damage could a fraudster do in 8 months, after all. Good luck with THAT sort of philosophy, g3no. Don't you people have anything better to do than sit on your computers in the hopes of finding scams? I just read all of the above comments. There are so many inaccuracies. For example, the seller lists the properties themselves, not the affiliate. So any mistakes or faults in the listing is the owners'. That a property is listed in multiple places is common. Especially difficult-to-sell properties have been listed for months with possibly several different agents trying to find a buyer. You are discussing things you don't have first-hand knowledge of and show your own ignorance by participating in such a forum. "He that answers a matter, before he hears it, is not wise"> Proverbs 18:13. Nobody is getting scammed, as the buyers and the sellers pay no commission. They are both receiving benefits at no cost to themselves. People's domains are pointed to the company domain, cash wikia. All of this is nonsense. Go find something productive to do and leave those who want to pursue something they believe in alone. Biblical quotations in defense of a scam ?? The seller lists the properties ??? What are you, an absolute beginner with no knowledge of the real estate industry ?? The buyers and sellers pay no commission ??? Geez, admission of the fraudulent nature of Property Wikia, much ??? What are you saying, an eccentric millionaire pays the buyer and the seller out of the goodness of his heart ?? leave those who want to pursue something they believe in alone. You ARE being left alone. Disagree with what's being said ?? point us to PropertyWikias' VAT registration, and/or Companies House listing. Show us just a lazy few mill. of the hundreds of millions of pounds of assets PropertWikia claims to have. Wow. You couldn't get past 3 sentances without lying. Don't you people have anything better to do than sit on your computers in the hopes of finding scams? Sure we do. So what? I just read all of the above comments. Don't you have anything better to do? lol. There are so many inaccuracies. For example, the seller lists the properties themselves, not the affiliate. Lie. Are you going to try and tell us that the owner is really going to screw up their own listing? And shoot themselves in the foot by boosting the prices for no reason? So any mistakes or faults in the listing is the owners'. That a property is listed in multiple places is common. No, being listed in multiple legitimate places is common. Especially difficult-to-sell properties have been listed for months with possibly several different agents trying to find a buyer. Who says/determines what is 'difficult to sell'? You are discussing things you don't have first-hand knowledge of and show your own ignorance by participating in such a forum. Really? Are you trying to say a real realtor would not know what is going on? "He that answers a matter, before he hears it, is not wise"> Proverbs 18:13. And yet, here you are answering. Nobody is getting scammed, as the buyers and the sellers pay no commission. Really? Then why the need to boost the prices? Why should any buyer pay your inflated prices when they can get it cheaper at a legitmate realtor? A real realtors commission is already in the lower, legitimate listing price. That means you scammers should be a lower price than that if what you say is even remotely true. They are both receiving benefits at no cost to themselves. People's domains are pointed to the company domain, cash wikia. All of this is nonsense. I agree the wikia hijacking listings and boosting the prices is ridiculous. Go find something productive to do and leave those who want to pursue something they believe in alone. With regard to the property mentioned in the 1st post of this thread, as a paid up affiliate of PW (still deciding whether I have made the right choice) I decided to test the system and report the discrepancy in pricing between PWs listing and RealEstate.com.au. The property listing was immediately suspended, pending the owners response to my report. Will keep a close eye on that and see if it gets re-listed, with corrections. Thanks to all previous posters for your insights on this intriguing operation known as PropertyWikia. Welcome to REALSCAM.com aussiegold, and congratulations on deciding to do some homework. Maybe it's just me, but it stretches the bounds of credibility for PropertyWikia to claim the discrepancy/ies are the fault of the owner. Does anybody REALLY believe the owner of a property valued at in excess of $1.65 million bucks simply forgot to mention such vital information ?? IM(very)HO like most well thought out frauds, the devil is in the detail and it will be a number of small details which eventually bring down Property Wikia and similar real estate listing scams. How do you even know you contacted the real owners of the property? My money is on the real owners not even knowing it's listed there. I'm sure the only people you contacted are the scammers themselves. Whip, I never claimed that I contacted the owner, or anybody else for that matter. On every listing you will find a link to contact the owner, but you must register as a buyer 1st. I chose not to. Just above the "contact owner" link is a button saying "report listing". This I did, and the property listing was suspended immediately, obviously without any human intervention. I presume the system has sent an email to the person responsible for the listing, notifying them of my report. As I stated above, I will keep a lookout for that property being re-listed. My thoughts are that this was probably what PW call a PAL(partial area listing). This can be done by an affiliate, but only for properties within their HQ (area selected at signup). The affiliate MUST provide contact details of the owner, and if applicable, the agent. The PW system then advises the owner that their property has been listed, and provides them login details for them to confirm/edit/delete the listing. It is NOT a valid listing (for the purposes of earning the affiliate commission) until verified by the owner. I am not making a stand for PW here, just sharing my limited understanding of how the website works. I have not listed any properties on my affiliate account at this time. I, like many, are still on the fence with this one. Time will tell.